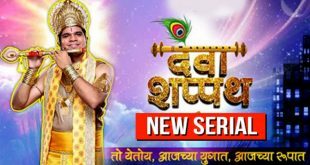 The popular Marathi TV channel called Zee Yuva is coming up with a new Marathi television show called Phulpakhru which is from 22nd August 2016. After a long wait for the opening ceremony of this channel Zee Yuva became a part of our family and entertained us with its famous serial’s episodes- Bun Maska, Freshers, Love Lagna Locha, Ithech Taka Tambu, Shravanbal, Yuvagiri, Shaurya, Hilla and recently started programs Prem He and Sargam. To make watching Marathi television experience enjoyable Zee Yuva came up with new innovative serials. Zee Yuva has many topics which keep the audience busy but it also has many new ideas which no one has put forth before. Zee Yuva shows them via various experiments. Zee Yuva was primarily started to target the young Marathi audience. It’s all currently aired serials too has a youth factor in it. Zee Yuva’s Prem He and Sargam are the most viewed short promgrams. It will add one more serial too its fresh serials. The serial is aptly titled Phulpakharu. It is a story of a college going girl Vaidehi who is unaware of someone who loves her. It is said that the butterfly chooses its own flower. The role of Vaidehi is played by Hruta Durgule. The male lead’s name and face is still not revealed. Fresh Serial Phulpakhru will start from the said date from Monday to Friday at 7.30 pm only on Zee Yuva.